The team worked all season to perform at their best during the month of May. 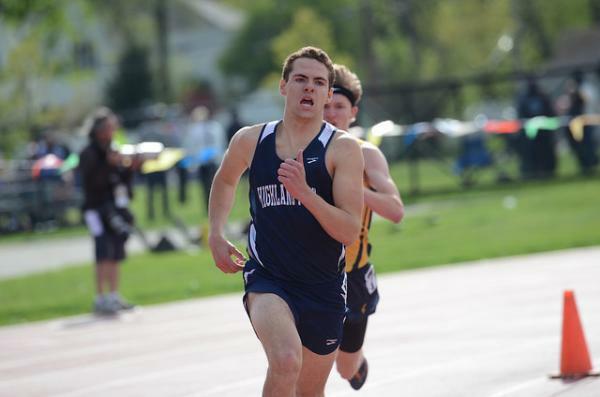 The team’s top athletes were hoping to have those performances at the Loyola Sectional Meet. Some team members were able to rise to the occasion while others struggled to have their best day. 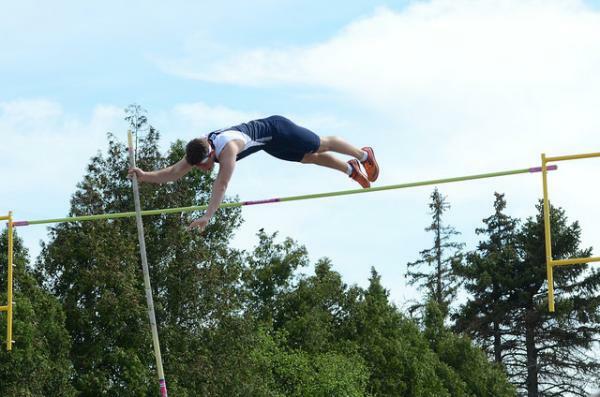 Junior Ben Kirsch was determined to qualify for the State Meet in the Pole Vault as the top marks for competitors in the event were bunched up for the second qualifying spot. Kirsch’s best clearance of his career was 12’6”, but he knew he would need better to qualify. He was able to get a new personal best by clearing 13’0”! This ended up giving him 3rd place clearing the same height as 2nd place. Due to having more misses through the competition Kirsch had to settle for just missing qualifying for State. Look for him to be making the trip to Charleston next season! The 4X200 Meter Relay team ran their best race of the season. The team got off to a great start with a strong lead-off leg by senior Michael Menaker. He has been consistently getting the team into outstanding position with his starts. He handed off to senior Andrew Derdena. Derdena has worked hard over the years to get to the position to be a key member of the sprint relays. He ran well and got the baton to freshmen Zion Griffin. Griffin ran an impressive 3rd leg to get the baton to senior Sedric Gonzalez. After returning from a hamstring issue, Gonzalez was able to finish out his high school career with an anchor leg that helped earn his team a medal at Sectionals. The team took 6th place in 1:36.89. Senior Alec Glazier knew he would have to run a big personal best in the 3200 Meter Run to have a chance to qualify for State. 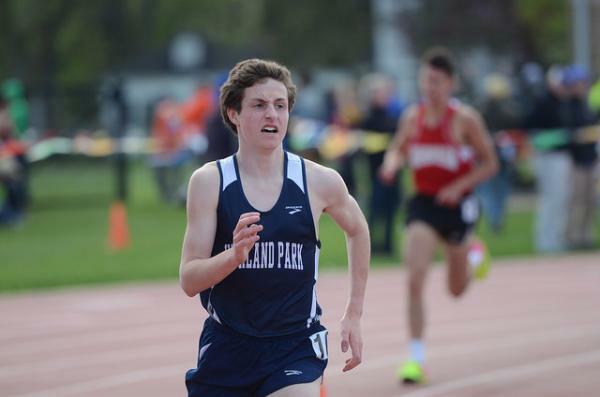 He went after it from the start of the race and went through the halfway point with a new 1600 personal best of 4:39. He then battled to hang on to the pack but was unable to hold the grueling pace. He still had a gutsy race to finish his career with his best 3200 time of 9:41.94 to take 10th place. Menaker and Derdena both ran personal bests in the 100 Meter Dash (11.54 and 11.89) while Derdena came back with a personal best in the 200 Meter Dash as well (24.18). Great ways for these two extremely hard workers to end their high school careers. Junior Jordy Mazza ran a personal best 2:05.55 in the 800 Meter Run. Senior Fitz Laurie ran a gutsy 800 in 2:05.99 despite being injured most of the outdoor season and doing very limited running. The Giants had several freshmen competing at Sectionals. They had a few strong performances despite the pressure of such a meet. Zion Griffin was near his personal best in the Triple Jump with a 38’4.5” mark. 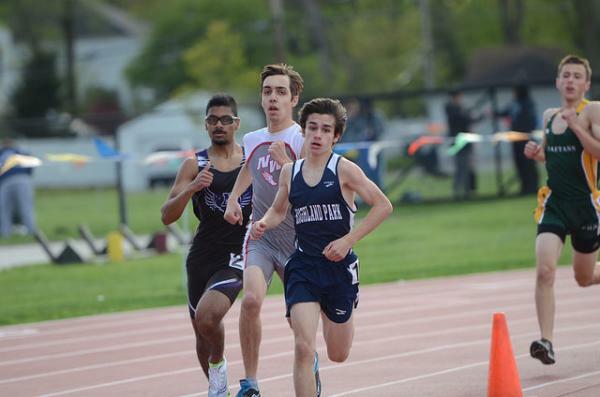 Jason Polydoris ran 4:47.64 in the 1600 Meter Run. Despite not having any State Qualifiers this season, the coaching staff is proud of how the members of the team competed. For the seniors, the coaching staff is grateful for all they have done to better the program. For those returning, the expectations are high. The talent and work ethic is there to do great things over the next several years. It is up to each freshmen, sophomore, and junior to decide what direction they want this team to go and what they want to accomplish as a team and as individuals.